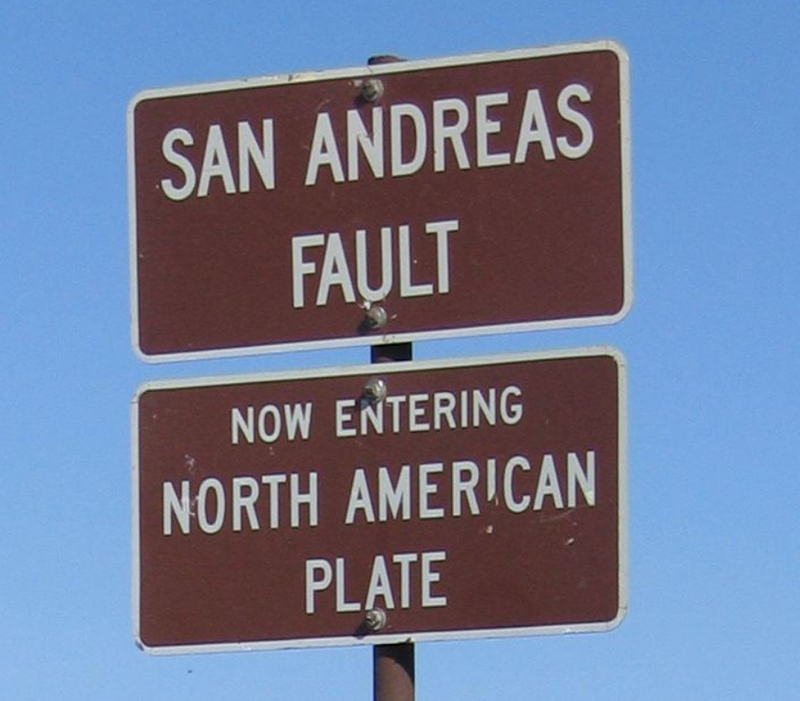 When you think of natural disasters in California, your mind’s eye naturally envisions earthquakes. 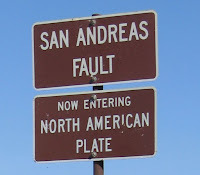 And for good reason, the Pacific-North American plate boundary, manifested by the San Andres fault, slices through California from the Salton Sea north to northern California’s Point Delgada. It turns out that flooding from ‘atmospheric’ rivers is capable of causing as much or more damage to California as a magnitude 8 earthquake. 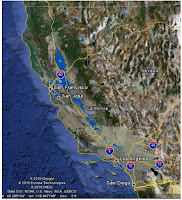 The ‘Great Flood of 1862’, the result of 45 straight days of rain, transformed central California into a 300-mile sea. 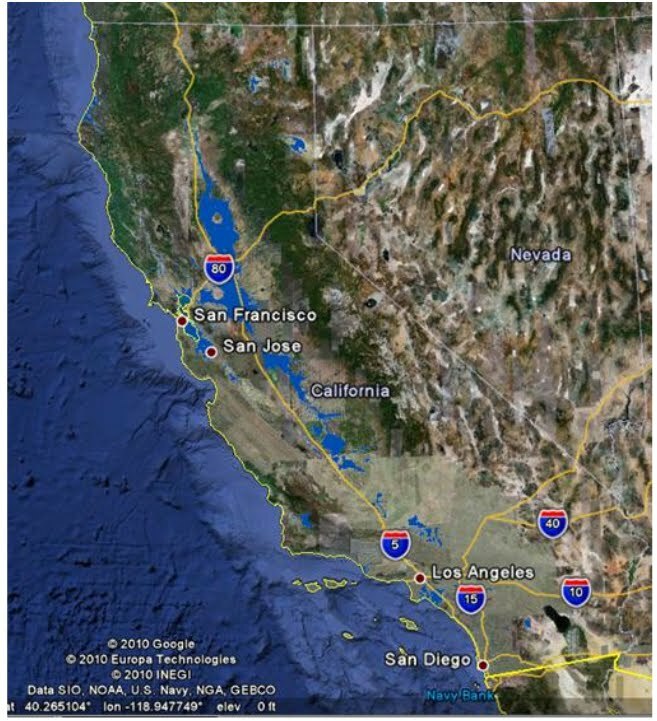 A similar event today could swamp 25% of the state and cause $725 billion in damages according to a report by Adam Brinklow of the Curbed San Francisco. 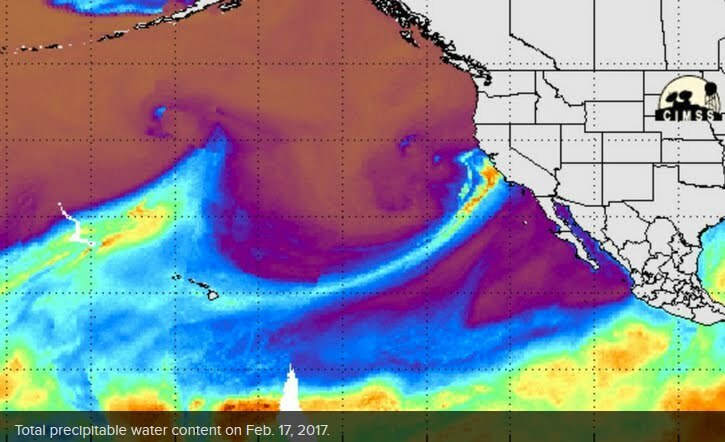 This weekend California is on watch for its second atmospheric river event of the winter of 2017. No one anticipates a mega-storm like that of 1862, but flooding and infrastructure are likely to occur. For more on the impacts of a mega-storm see the US Geological Survey’s ‘Overview of the ARkStorm Scenario’ released in 2010. Blue inboard of coast shows potential flood zones of AR. Yesterday, the Arizona Senate Appropriations Committee passed SB1184 by a vote of 9-1 to reinstate AZGS’ annual operating budget of $941,000 for FY 2018. This appropriation is commensurate with state funding received by the AZGS when it was a separate state agency in FY2016. Sponsor Sen. Gail Griffin was there to advise the Committee of the many services that AZGS provides to the state, which would otherwise fall off the table. This bill still has a ways to go in the budget process, but this step was key. Additionally, SB 1415, which would permanently transfer the Polly Rosenbaum Building and Arizona Mining & Mineral Museum collection to the University of Arizona, was passed 9-0-1 by the Appropriations Committee. UA sent Tim Bee (Senior Associate Vice President for Legislative and Community Relations) and Kimberly Espy (Senior Vice President for Research), to voice their support. Both spoke keenly about UA’s interest in re-establishing a museum in the Polly Rosenbaum Building on the Government Mall on Phoenix. 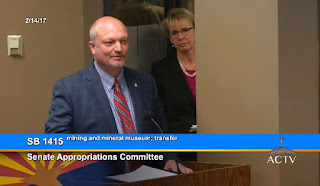 AZGS Director Phil Pearthree and Assistant Director Randi Bellassai were on the scene in the event that the Committee needed any details regarding the AZGS activities, budget, or staffing. A number of individuals and representatives of various associations registered their support for both bills, and several strong AZGS supporters who attended the meeting were ready to voice their support for SB1184 if needed. 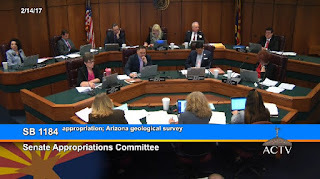 On Tuesday, 14 Feb. 2017, between 2-5 p.m., SB1184 (see below) proposing funding for the Arizona Geological Survey (AZGS) comes before the Arizona Senate Appropriations Committee. The bill funds AZGS at the FY-2016 level of $941,000. If successful before the Appropriations Committee, this funding appropriation could well make its way into the State Legislature’s FY 2018 budget. 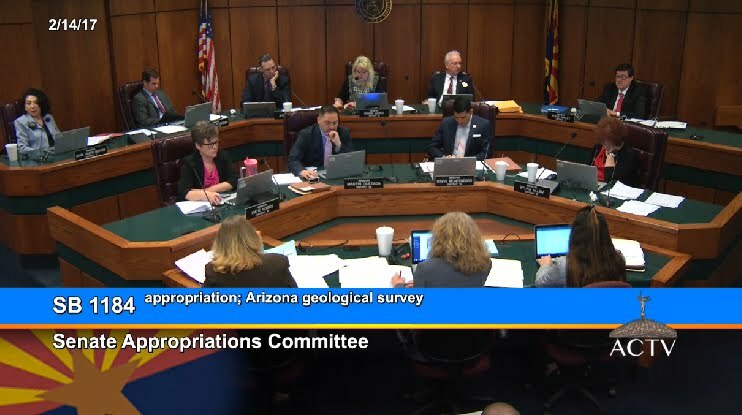 This base funding is critical to AZGS fulfilling its statutory charge of being Arizona’s source for geologic, geologic hazard, and economic geology information. SB1184: Be it enacted by the Legislature of the State of Arizona: Section 1. Appropriation; Arizona geological survey. The sum of $941,000 is appropriated from the state general fund in fiscal year 2017-2018 to the Arizona geological survey established by section 27-102, Arizona Revised Statutes, for the purposes provided in title 27, chapter 1, article 1, Arizona Revised Statutes.